William Ward, born in Lake Charles, Louisiana, began his dance training with Lady Leah LaFargue at the Lake Charles Civic Ballet. He graduated from the North Carolina School of the Arts and continued his dance studies at the School of American Ballet and the American Ballet Theatre School on full scholarship. While studying at SAB, William performed with the New York City Ballet, appearing in Vienna Waltzes (filmed live from Lincoln Center), Coppélia, Sleeping Beauty‘s Garland Dance, and The Nutcracker. He also danced and taught throughout New York City with NYCB’s Education Department’s Lecture Demonstration Program.Billy has been a principal guest artist with the Dallas Met Ballet, Garden State Ballet, Atlanta Ballet, Ballet Theater of Chicago, Longview Ballet Theatre, and Delta Festival Ballet. His repertoire with these companies includes Ben Stevenson’s Alice in Wonderland, Peter Anastos’s Midsummer Night’s Dream, Kenneth MacMillan’s Romeo & Juliet(Balcony Pas de Deux), and George Balanchine’s Serenade, 4 Temperaments (Melancholic), and Western Symphony. He was a guest in the role of Drosselmeyer in The School of American Ballet’s performances of George Balanchine’s The Nutcracker in Stamford, Connecticut. Additionally, he danced in Maurice Béjartâ€™s Bolero - starring internationally renowned ballerina, Sylvie Guillem – at a reception unveiling the release of designer Christian Lacroix’s first perfume, “Cest La Vie.”For 26 years, William was a solo dancer with the New York City Opera. During his tenure with the company, he traveled throughout China, Japan, and the United States. At NYCO, Billy worked with Beverly Sills, Hal Prince, Agnes DeMille, Gemze de Lappe, Susan Stroman, Pat Birch, Donald Byrd, Robert LaFosse, Robert Weiss, Bill T. Jones, Susan Marshall, Damian Woetzel, Seán Curran, Jennifer Muller, Frank Corsaro, and Maurice Sendak. He performed solo and principal roles in Brigadoon, 110 in the Shade, Most Happy Fella, Carmen, La Traviata,Candide, Mikado, The Merry Widow, Cinderella, Prince Igor, The Music Man, H.M.S Pinafore, and Carmina Burana. He served on the Board of Governors of the American Musical Artists Guild, and appeared in numerous Live from Lincoln Center television productions, including The Merry Widow, La Bohéme, Magic Flute, Candide, and Rigoletto. He was also invited to the Regal Theater in Boston, where he performed the role of Harry Beaton in Boston Ballet’s Brigadoon. Billy appeared in the pilot of the HBO series Boardwalk Empire, directed by Martin Scorsese and choreographed by Pat Birch, subsequently appearing in two more episodes of Season 1, one episode in Season 2, and the opening of Season 3. He is a member of the Screen Actors’ Guild.Billy has taught for the Atlanta Ballet School Summer Intensive, Ballet Conservatory of Asheville, Lake Charles Civic Ballet, and Blue Lake Fine Arts Camp. He co-choreographed several ballets for Longview Ballet Theatre, including the full-length productions The Nutcracker and Peter Pan. In 2013 and 2014, respectively, he co-choreographed West Side Story Suiteand All That Jazz: A Tribute to Bob Fosse, for Lake Charles Civic Ballet’s Assemblé Gala. Additionally, he is a licensed massage therapist. 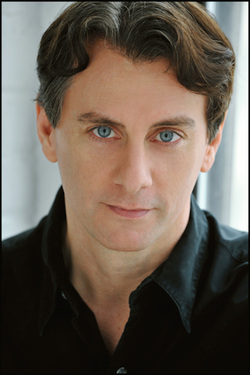 Along with private clients including Roger Daltrey, Ian McKellan, and Carmen Marc Valvo, Billy has worked at the New York City Ballet therapy department, at the Mandarin Oriental Spa, with the cast of Broadway’s A Chorus Line, and with the “Billys” of Broadway’s recent hit show, Billy Elliot.